GVEC has long been dedicated to our mission of investing in products and services to meet the needs—and hopefully exceed—the expectations of GVEC members and customers alike. GVEC.net is a prime example. 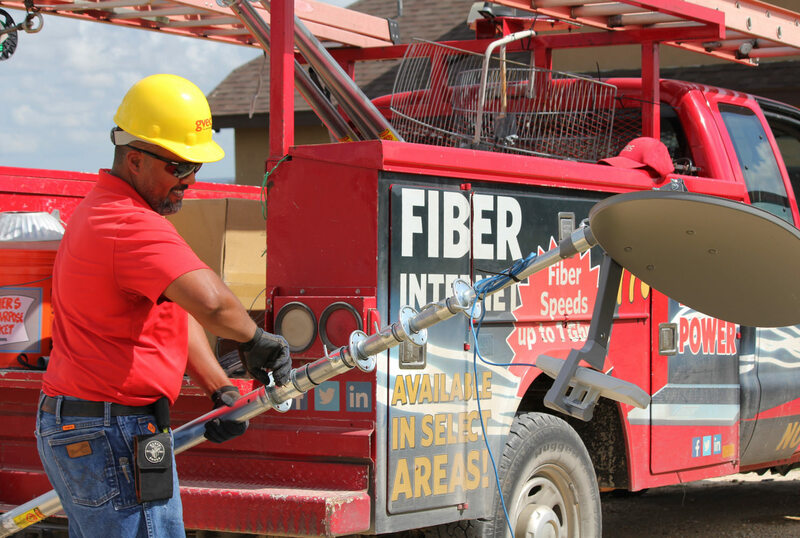 We were the first to bring affordable Internet service to our members in rural areas and have extended our service territory throughout the area. Put GVEC.net to work for you! GVEC.net is Internet service from a local company you can trust. Find a monthly rate plan that is right for you and make the connection with GVEC.net! GVEC.net consistently attempts to meet and exceed all customer needs and expectations through building and maintaining a strong network. However, due to uncontrollable factors such as weather and equipment failure among others, service speeds may vary. Top plan speeds are maximum burst speeds, which mean these speeds will be achieved when conditions allow, yet may also vary based on conditions during time of use. Today, you can select from several high-speed wireless residential and commercial plans to meet your needs and budget. Choose a plan that’s right for you at GVEC.net. We are much more than an electric co-op. Learn about our beginnings and who we are today.